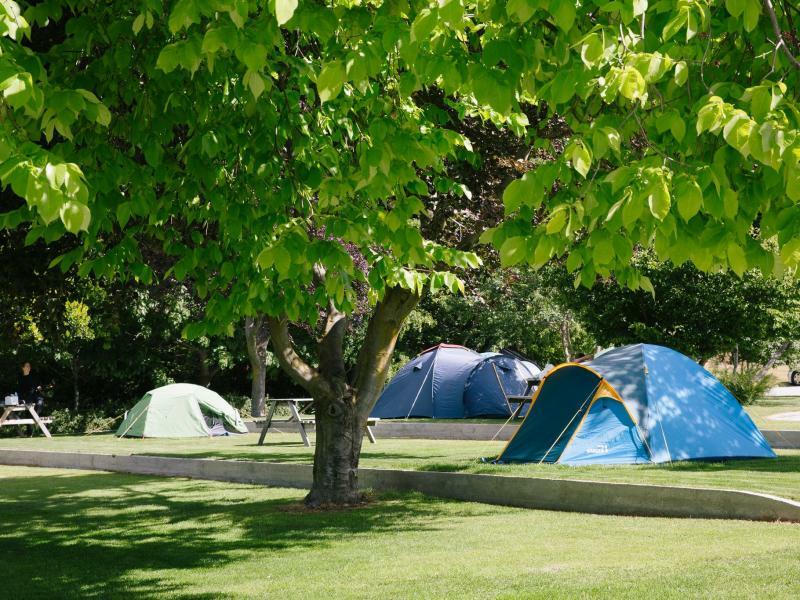 We offer a range of camp sites suitable for campervans, smaller vehicles and for pitching your tent. Whether you want to stay one night or bring the family for a holiday, enjoy the use of our facilities which include communal lounge, kitchen, bathrooms, playgrounds, free unlimited wifi internet and more! 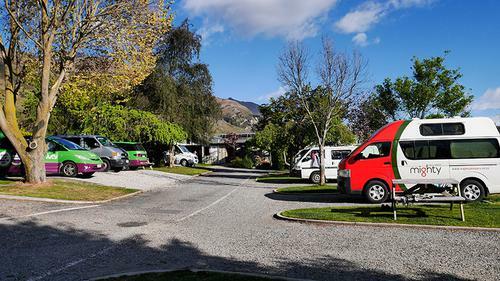 & Stay, Relax, Explore with us at Wanaka Kiwi. Free WIFI. Everything included in the price: Showers, undercover BBQ pavillion, kitchen, courtesy shuttle, playground for kids. Drying room in winter months. Laundry facilities + Spas & Sauna only extra cost. THIS IS NOT SUITABLE FOR A TENT, VEHICLES ONLY. Please note: Unfortunately we cannot accommodate tents next to campervan sites therefor you will have to book an un powered tent site if you have a tent with the campervan. Our Spas & Sauna are open daily between 4pm-9pm. As of 1st May 2017 a small fee will apply (conditions apply). Free WIFI, Showers, undercover BBQ pavillion, kitchen, courtesy shuttle, playground for kids. Drying room in winter months. Laundry facilities & Spas + Sauna only extra cost. Fantastic place to stay and relax very family friendly the staff were helpful. 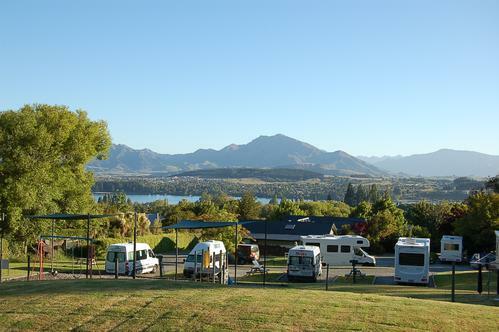 The facilities were clean and tidy and well situated in wanaka. We planned to stay 2 days and stayed 5. Happy campers who will come again.